The second-biggest decision of the year — we suppose the presidential election is bigger — is finding out who Rory (Alexis Bledel) ends up with in the Gilmore Girls revival. Even though it is more realistic that Rory would ditch all of her high school and college sweethearts and find someone new, we don’t need that much realism on a TV show — we just want to know if it’s Team Jess (Milo Ventimiglia), Team Logan (Matt Czuchry) or Team Dean (Jared Padalecki). 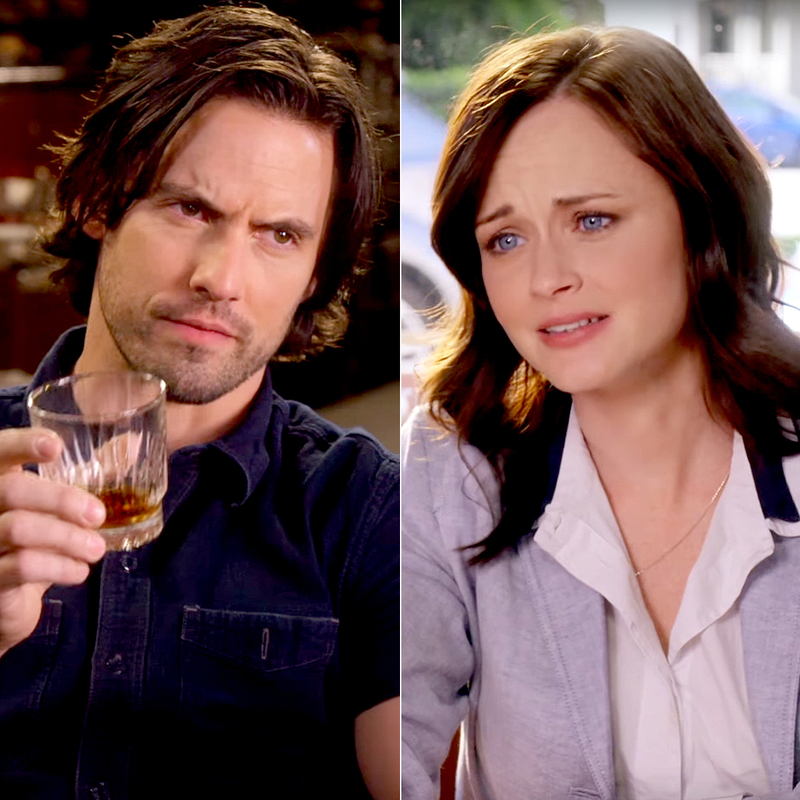 Gilmore Girls: A Year in the Life&apos;s recently released Netflix series trailer gives us a glimpse at all three of Rory’s former flames, but due to one telling scene of dialogue, the internet is convinced that Rory picks Jess in the end. It could be a red herring and Rory could even be out of a job while Jess holds her dream role at a newspaper or publishing house, but we’ll have to wait until November 25 to find out. Check out tweets from fans below and see if they convince you that Rory and Jess are the endgame. RORY AND JESS INTERACT IN THE GILMORE GIRLS TRAILER. Gilmore Girls: A Year in the Life premieres on Netflix November 25.